When people think of their superannuation benefits, they usually think of the accumulation of contributions and investment earnings that they will have access to during retirement. But another benefit of your superannuation is the insurance cover available. Death cover provides a lump sum payment in the event of your death, or on diagnosis of a terminal illness. It can be used for your debts, your funeral, or to help your family pay the bills that keep coming in. TPD cover provides a lump sum payment if you become totally and permanently disabled. It can be used for your ongoing bills (such as mortgages and living expenses) and for your medical expenses. Income protection cover provides you with an ongoing payment if you can’t work for a long period because you are sick or injured. You can receive up to 85% of your income while you’re off work (depending on your level of cover). This way, you don’t have to think about the bills. You can concentrate on recovering. 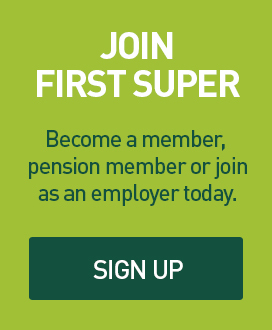 Okay, but why First Super? You can change your level of cover any time. Between 16 and 64 for Income Protection Insurance. 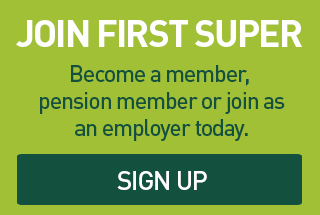 First Super provides peace of mind when it comes to your insurance. Backed by MetLife; one of the world’s largest insurers we understand the emotional and financial value of providing the right protection to you and your loved ones. MetLife has over 145 years’ experience providing assurance to 100,000,000 customers in more than 40 countries worldwide. MetLife offers reliability, stability and insurance to meet your specific needs.